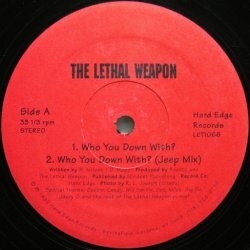 ホーム > NEW SCHOOL > E-L > THE LETHAL WEAPON / WHO YOU DOWN WITH? THE LETHAL WEAPON / WHO YOU DOWN WITH? A1 Who You Down With?